Ah, my three loves: IPA, Wee Heavy (Scotch Ale), and the crisp, refreshing, bubble gum Belgian Tripel. Pilsner malt, sugar, and that lovely Belgian yeast weirdly described as bubble gum, cotton candy, banana, spice, and clove. Bubble gum gets it right. My last batch wasn’t so good, but this has the exact flavor I was looking for. It’s an excellent Tripel. Crisp, clean, very high in alcohol but not sweet or hot. The aroma, however, is not as overpowering as it could be. There is a local brewery here in Kalamazoo that somehow gets an amazing aroma on its Tripel. Actually, I got advice from that brewer on how to make it. According to a local brewer that makes the best Belgian Tripel I’ve ever tasted, and according to books I’ve read, the secret to a great Belgian Tripel is to slowly ramp up the temperature during fermentation. Yes, I know, this requires some sort of temperature control. Start as low as 65 F and end up as high as 100F. I started at 65F for a few days, then ramped up to 70F for a few days, then 80F of the last few days. Then cold crashed, fined with gelatin, and bottled. Carbonation took about 2 weeks at 70F. 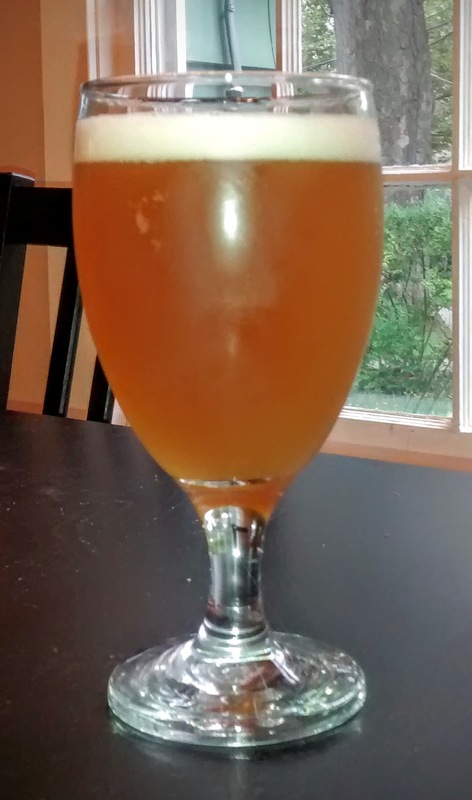 This, I believe, was the difference between my last version, which came out cidery, and this batch, which did not. The recipes were the same. I tried a no-sparge method, which ended up in a smaller batch than I wanted (4.5 gallon…heck, maybe even less than that). 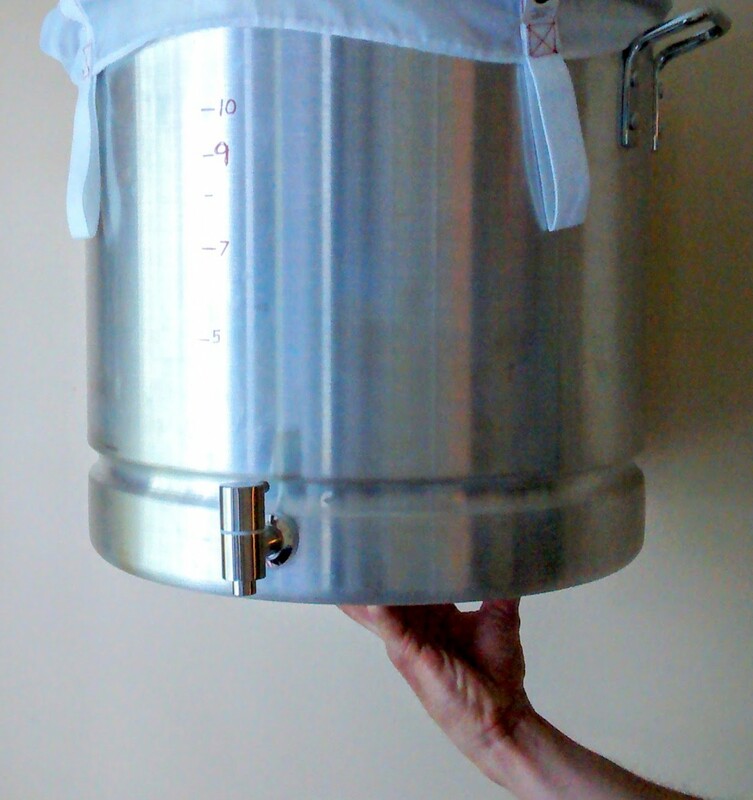 The pot is simply not big enough to do a high alcohol, no sparge beer (I’m getting a larger pot as we speak, because not sparging makes a ton of sense for BIAB, and high alcohol is what most homebrewers do. In other words, I’m about to take back everything I said about getting a turkey fryer set-up – they are a bit too small, don’t get one, sorry). Stay tuned. Also based on the advice of previously stated brewer, I’m switching over to Cane Sugar. It’s cheaper, it’s at the grocery store, and it works. In fact, I’ve been using Cane Sugar to bottle, which have brought my costs down significantly. The only reason I ever started using Corn Sugar to begin with was because of all the scary people on the internet telling me not to.